While many fine, new poker venues have contributed to the global growth of the game, this week brought a closing chapter to the story of one of the game’s oldest venues, the Aviation Club de France in Paris. The Aviation Club, or ACF, was ordered this week into judicial liquidation proceedings, assuring that the property and its 107 years of gaming history has ended. The ACF, on the Champs-Élysées within short walking distance of L’Arc de Triomphe, saw its prestigious image shattered last September after the club was raided and closed by French Judicial Police. The French investigators alleged a series of violations ranging from money laundering to labor “irregularities,” and ordered the club closed. At the time of the September raid, approximately 12 individuals were taken onto custody, including the club’s director, Marcel Francisci. According to local Paris reports, the club’s de facto shuttering came when French officials decided not to renew the ACF’s gaming license, leaving the facility with no way to generate income. The casino, which opened in 1907, was a classic, elegant venue which featured table games such as baccarat and backgammon until poker was introduced there in the mid-1990’s. In its first two decades, the club was private “members only” casino until later being opened to the general public, though the club’s upscale dress code and decor remained intact. The subsequent boost in poker’s global popularity, once that game was introduced, also turned into a boon of sorts for the ACF. 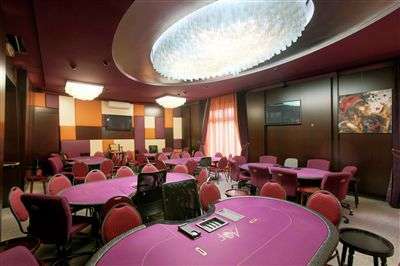 The club would host, for several years, a prominent annual European stop on the World Poker Tour’s schedule. The WPT dropped the Aviation Club from its rotation of hosting venues last year. The PokerStars-sponsored European Poker Tour (EPT) has also held events at the ACF, as have several France-only series. Given that the EPT has also dropped its own long-running French stop, at Deauville, some poker-industry pundits fear that the game’s visibility in one of Europe’s largest and most populous countries will suffer. France’s own record toward both casino venues and poker has been spotty as well. The September raid on the Aviation Club was only the latest and most prominent to be conducted against French casinos in recent years. Two other Paris-area casinos that also offered poker have closed in recent months, the Cercle Haussmann and Association Cercle Cadet, leaving only the Cercle Clichy Montmartre to offer the game in the nation’s largest city. The closure of the Aviation Club, of course, drew a far greater reaction throughout the poker world, given the club’s storied history and long connections to the game. In the weeks following last September’s raid, numerous prominent international poker pros urged French regulators to allow the club to resume operations, often by posting on Tweet with the hashtag “#bringbackACF”. By mid-October, however, it became clear to many onlookers that the the club’s closure might well be permanent, which in addition to the loss of the venue also resulted in the loss of jobs for hundreds of casino employees. The elegant cash-game poker room at the Aviation Club.